sam® Sport is a FDA-cleared bio-regenerative medical device that reduces the pain associated with tendon, ligament or muscle injuries and also accelerates the natural healing cascade. 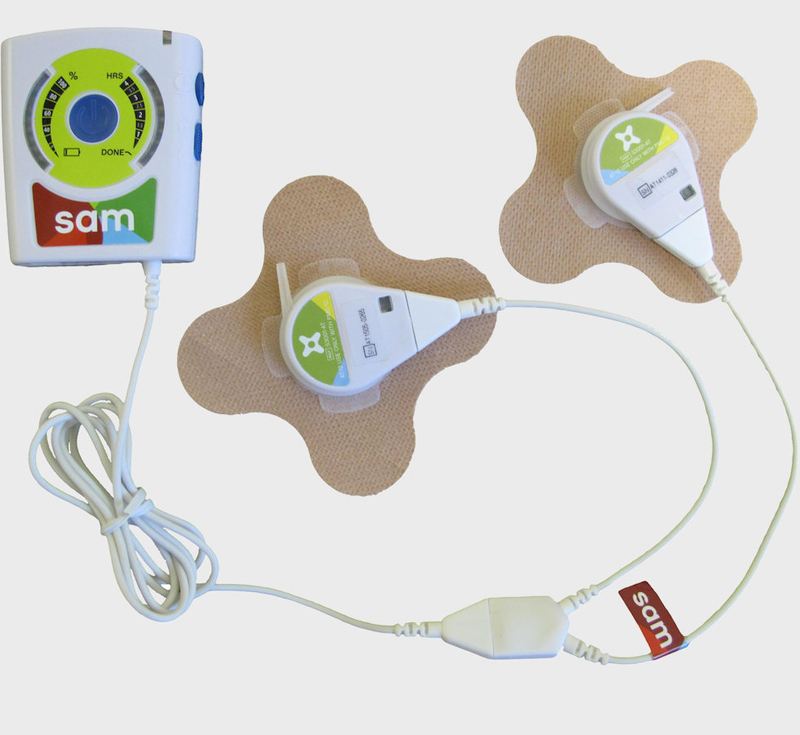 sam® Sport stimulates the body’s natural repair process through the sustained delivery of low intensity acoustic waves. 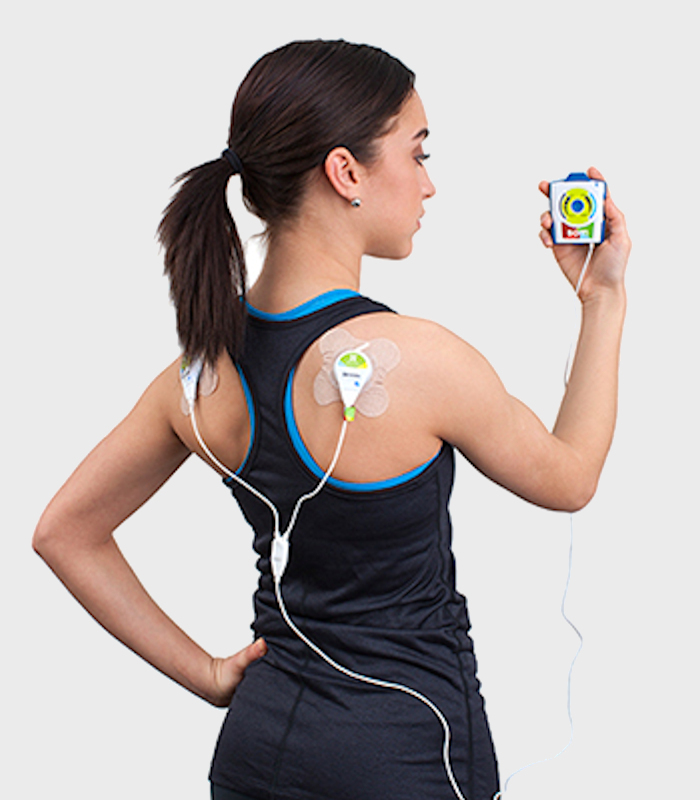 sam® Sport stimulates the body’s natural repair process through the sustained delivery of low intensity acoustic waves. 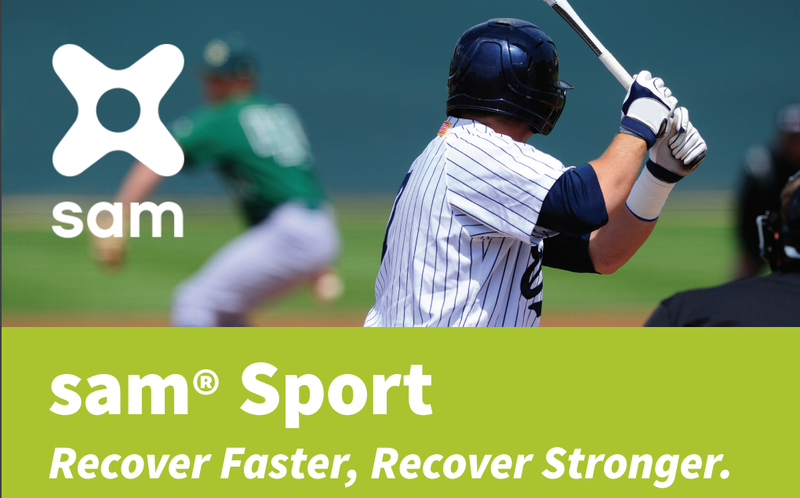 Watch this video to learn more about how sam® Sport delivers sustained action for faster recovery. 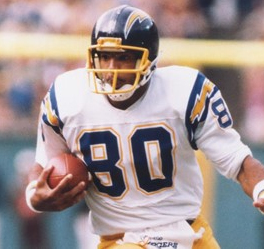 sam® Sport can be used to treat injured sites throughout the body including elbow, Achilles, patella, shoulder and bicep tendons, as well as trapezius, hamstring, and quadriceps muscles. 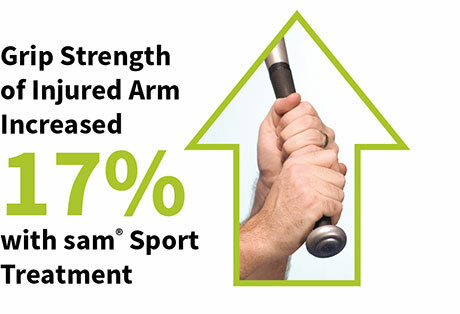 Clinical Trial demonstrates that patients with tendinosis of the elbow or Achilles, treated daily with sam® Sport for four hours per day, experienced a 70% reduction in pain after six weeks of treatment. Grip strength also increased by 17% in patients with elbow tendinosis, demonstratingrecovery of the injured tendon. 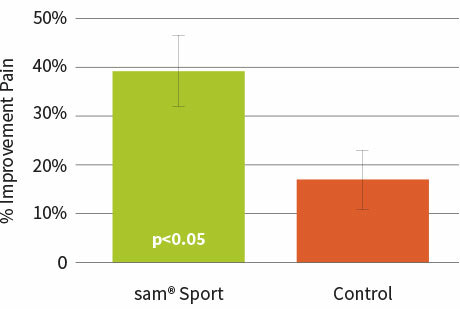 Patients treated with sam® Sport on a daily basis recover faster after a tendon injury. 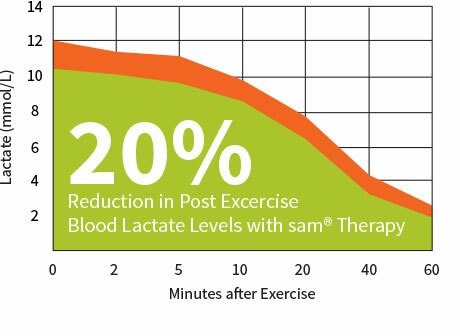 Athletes treated with a single, multi-hour sam® Sport therapeutic session experienced a 20% reduction in lactate accumulation in the blood, following strenuous exercise, when compared to the control group. When the strength and function of the treated muscles were then tested, greater muscle performance was observed, as measured by Average Power and Peak Torque. 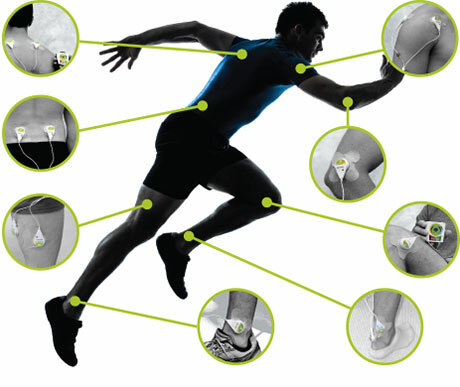 These effects may result from the ability of sam® Sport to stimulate local circulation to active muscles. Ultrasound therapy, according to the Cochrane Review, is clinically effective and covered under most insurance plans for Osteoarthritis pain management. In multiple clinical trials, sam® Sport daily wearable multi-hour ultrasound therapy has been proven clinically effective on reducing pain and improving function of patients suffering from moderate to sever Osteoarthritis. When applied during normal daily activity, patients experience 39% to 51% pain reduction in the treated joint. Patients with acute pain caused by trapezius muscle spasms experienced immediate pain relief from a single, one-hour sam® Sport treatment session. They reported a 15% improvement in the severity of pain they were experiencing, approximately twice the effect observed in the control group.